Barring protests against the lengthy duration of the just-concluded men’s Hockey World Cup, the competing nations and those merely observing the event were all praise for Bhubaneswar and conceded that it would be a tough act to follow. Several European contingent members told The Hockey Insider that it would not be easy, if possible at all, to get the whole city involved with an event like Bhubaneswar 2018 World Cup. 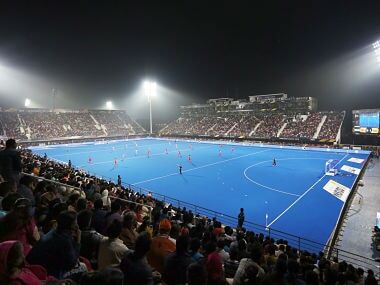 Several contenders for future World Cups are already finding ways to play down the hype generated by Bhubaneswar city’s involvement: be it the hockey-themed murals painted across the city’s walls; the cultural festivities and artisans’ exhibitions; the lavish opening ceremony celebrations; or the city-schools’ involvement with the event. With the Odisha state government pulling out all stops to welcome the global hockey fraternity and dropping the penny at every step, the expense burden was also playing on the minds of countries which have put in bids for the 2022 World Cup. Competing nations and those merely observing the event were all praise for Bhubaneswar. If that was not enough, the International Hockey Federation (FIH) has further confounded matters by reopening the bids for the next World Cup without citing reasons for this unusual step. Bids for the 2022 World Cups – for men and women – closed in September 2017, the deadline that caused some consternation among European nations as it came just after the usual summer vacation season. 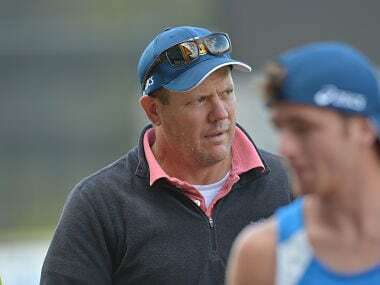 National hockey associations had to work hard to meet the bidding deadline and four bids have been received by the FIH. Australia, Germany and Malaysia have submitted bids for both the men and women’s World Cups, while Spain has submitted a bid to stage just the men’s event. Two of these nations would have earned the right to stage World Cups in 2022 with the FIH having taken a decision that the 16-nation World Cups for men and women would be staged separately during the time-window provided by them, with an eye on maximising the financial benefits from two separate World Cups. It was all well until then. But last weekend’s FIH Executive Board meeting in Bhubaneswar decided to reopen the bids with January 2019 as the new deadline – provoking protests from those who had already bid and eliciting comments that a delayed decision would affect preparations in nations where a lot of planning takes place before the execution of projects. 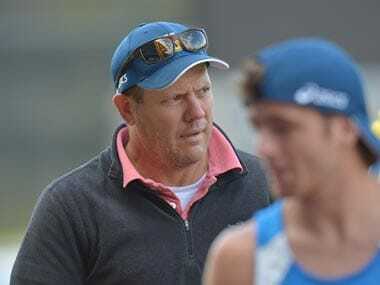 The FIH Executive Board turned down the protests, even without a polite word like ‘sorry’ for disrupting the procedure that had already been set into motion. All four bidders have past experience of separately staging both the men and women’s World Cups. In fact, only The Netherlands have jointly staged the World Cup for men and women – in 1998 and 2014. Australia successfully staged the women’s World Cup in 1990 (Sydney) and 2002 (Perth), while it hosted the men’s World Cup in 1994 (Sydney). Australia was among the bidders for the 2018 edition for both the men and women’s events, but financial reasons made it withdraw from the race. Germany hosted the women’s World Cup in 1976 and the men’s event in 2006. Malaysia staged the men’s World Cup in 1975 and again in 2002, while it hosted the women’s competition in 1983 Malaysia have never boasted of a strong women’s team, but stepped in to host the event when not many countries were bidding for it. Kuala Lumpur is also the only city to stage a men’s World Cup twice, although The Netherlands earned the distinction of being the first nation to bringing the event back to the country – but the venues were in different cities (Amsterdam in 1973 and Utrecht in 1998). In 2014, The Hague became the third Dutch city to stage the hockey World Cup. Spain, which staged the inaugural men’s World Cup in Barcelona (1971) and the women’s event twice in Madrid (1978 and 2006), has some interesting dimensions to its bid for the 2022 edition of the men’s competition. In 1971, Spain stepped up to stage the event “for the world” when the FIH decided to move the event from the western Pakistani city of Lahore due to security reasons. The Barcelona 1971 World Cup gave the FIH its first “self owned” international competition that hitherto was restricted to the quadrennial Olympic Games. The Hockey Insider has learnt that Spain is now bidding to bring the World Cup to the Catalan city of Terressa for the event to coincide with the Centenary of the Spanish and Calatonian hockey associations, besides the 50th anniversary of the 1992 Olympics. 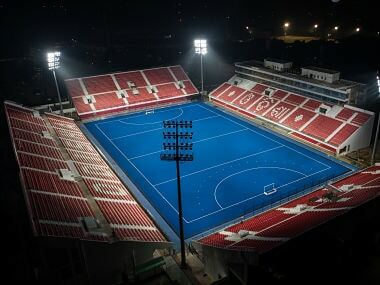 Four city and state governing bodies have committed grants totalling to one million Euros every year to upgrade hockey infrastructure for World Cup. So far, only Malaysia’s bid can compare with it. Bhubaneswar, most 2022 bidders confess, may be difficult to match, but there are interesting dimensions in all 2022 bids. However, the FIH, which ought to have announced the decision by now, is still seeking fresh bids. Interesting times for world hockey, indeed.